At the beginning of the maze. REALLY COOL EPISODE! !..I LOVED IT!!. Wallpaper and background images in the phineas y ferb club tagged: phineas and ferb. REALLY COOL EPISODE! !..I LOVED IT!! 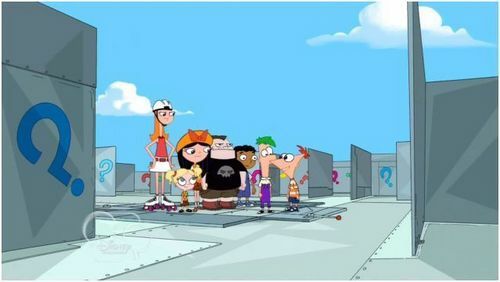 This phineas y ferb photo might contain ordenador portátil, signo, cartel, texto, pizarra, and letrero.